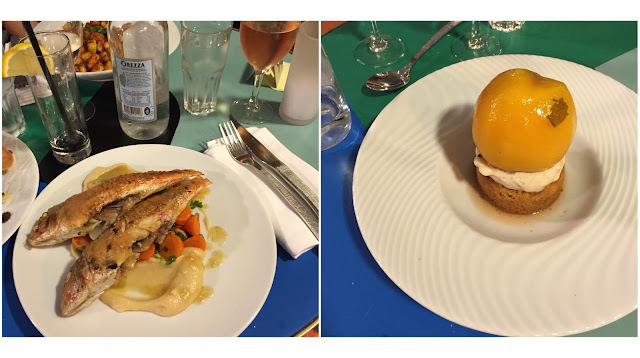 Food, glorious French food. Massalia possibly gave me one of the most colourful food diaries so far. 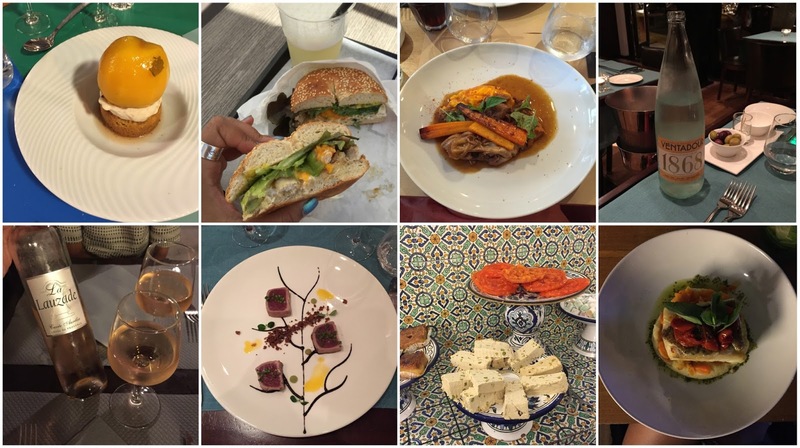 With the help of the interweb and recommendations from family / friends / fellow bloggers / locals, I tried to enjoy some of the best culinary spots Marseille had to offer - and the city certainly didn't disappoint. 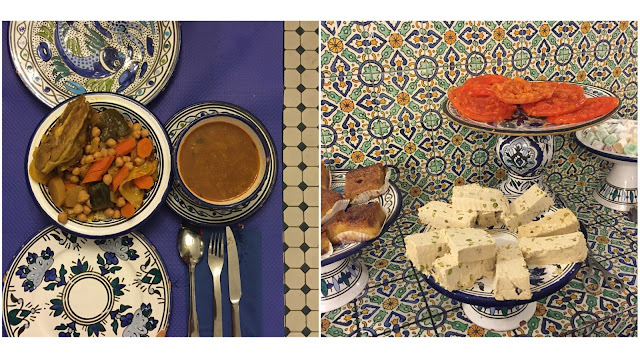 From trying Tunisian brik for the first time, to tasting a Masterchef finalist's menu, to high-end bagels in Panier, and to Michelin-style Bouillabaisse by the sea - there is genuinely something for everyone in Marseille's food scene. You just have to do a bit of exploring and planning. 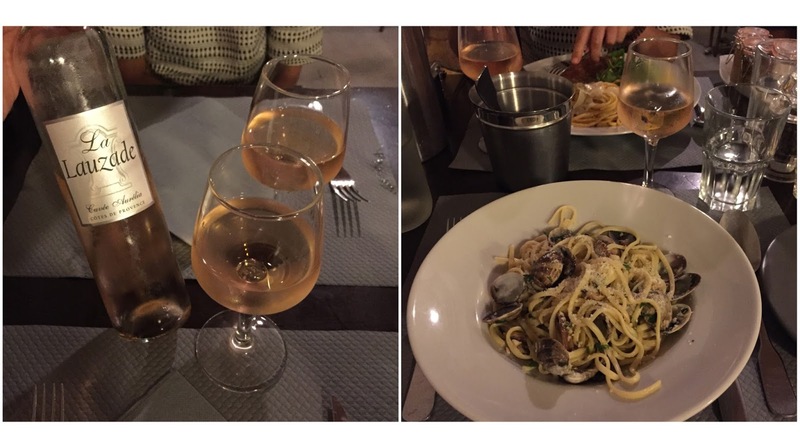 We ate really well on this trip [I seem to always do in France], fell for local rosé and gained happy food-bellies. There were more places I would have loved to have tried but I'll leave that as an excuse for a second visit! P.S. you may need a cup of tea or something to munch on before you read on - you've been warned. Two hours before we were meant to be on our return train home, I had to squeeze in one last stop - our last meal in Marseille which ironically turned out to be my favourite of the whole trip! After a morning of relaxing and deciding it's-not-about-that-train-food, we rushed over to a little gem which is quickly becoming a local favourite. 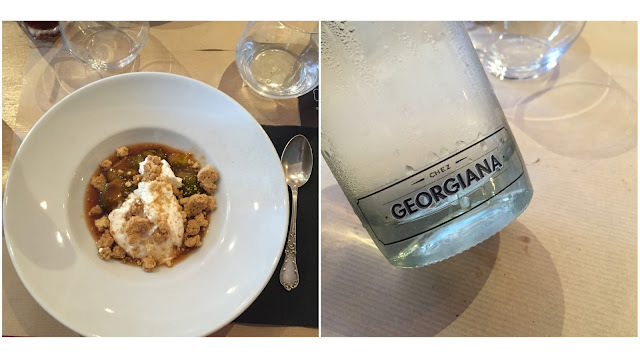 Chef Georgiana is a finalist from France's Masterchef Season 1 in 2010 and since being on the show has created her own little food heaven Chez Georgiana located in the heart of Massalia. 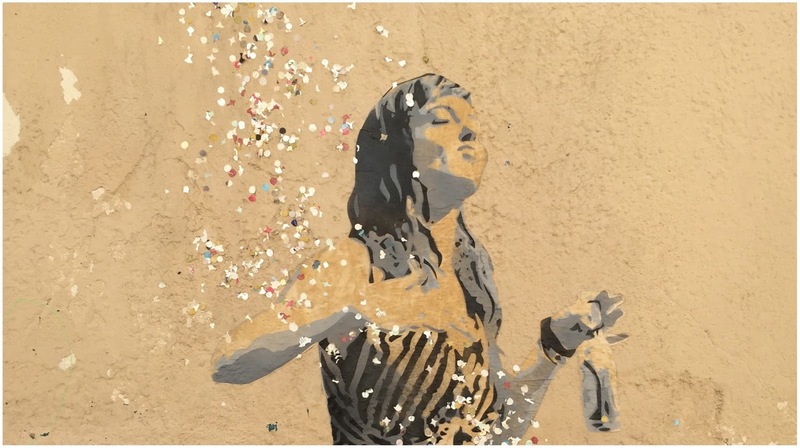 What I loved most about her restaurant was the focus - there were only two lunch menu options [2 or 3 courses] and for each course there were only two options. With only six dishes, the chef has managed to not only create flexibility in her menu [easier to change up and be in season] but ensure every last ingredient served is cooked with care and to perfection. I can't explain how tender the lamb in my main course was, it literally fell to pieces [especially as it was originally meant to be a fish dish but the kitchen had run out so this was an on-the-spot creation]. Lara's chocolate and coffee sauce in her dessert was also incredible. Everything was melt-in-the-mouth delicious and at a great price. If you could only go to one place in Marseille, I couldn't recommend this place enough. mains. agneau, jus vert et mousseline de carottes et glacées. / bavette à la plancha, sauce au poivre, courgettes poêlées et oignons confits. desserts. Reine Claude au four, mascarpone givré et crumble. / moelleux au chocolat, sauce chocolat blanc et café. We definitely planned to leave the best till last - how else would we keep those end-of-holiday blues at bay?! 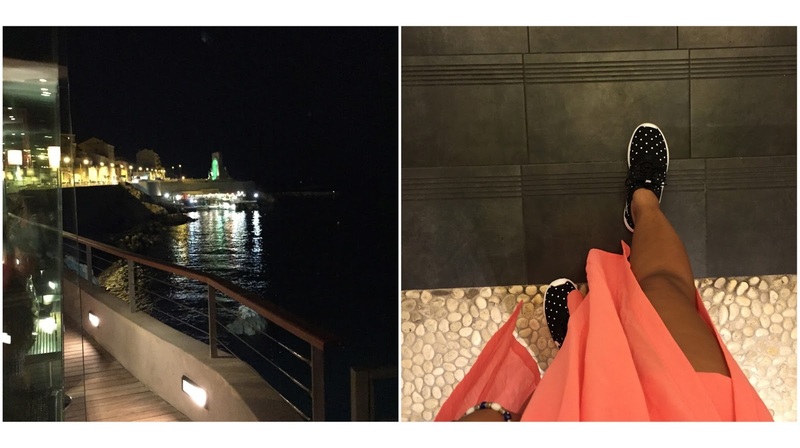 So on our final evening, we got dolled up [trainers still in tow because I like to feel grounded] and walked our way over to Restaurant Peron - idyllically perched on the edge of La Corniche du Président JFK with views out to sea, we knew this place would be pretty special. On arrival, the staff were great - friendly but professional - and you immediately get the vibe that this is a foodie's hangout. We both opted for a set menu so we could have the full experience. You can always tell if a place is fancy too because you get all the little dishes in between the main events, aka the mise en bouche, plus they served us some of the best sparkling water I have tried yet [Ventadour 1868] - really fancy pants. mise en bouche. blinis with tara. / smoked haddock, onion marmalade & tapenade. starters. red tuna tataki [seared]. / duck foie gras. mains. Peron Bouillabaisse. / olive-mint cod. 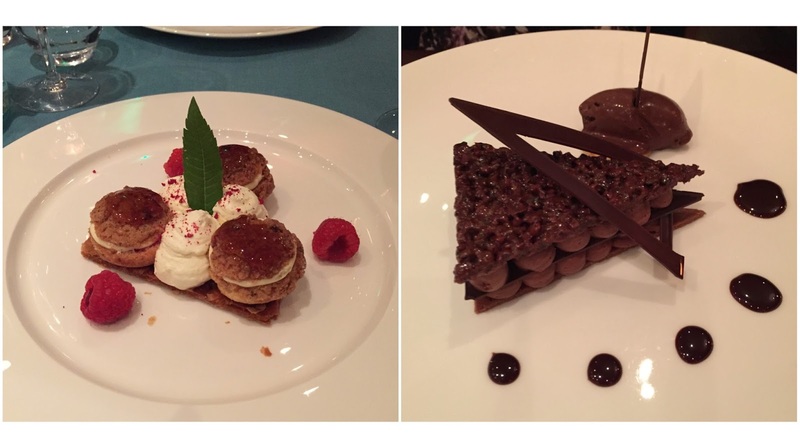 desserts. raspberries saint-honore. / almond flavoured feuillantine pastry & dark chocolate ganache. I loved everything about Peron, the views into the dark ocean and the lights along La Corniche de JFK, the food was incredible [though we struggled to finish it all! ], and the atmosphere was super chill. The only thing I didn't enjoy was the lounge-esque background music - I guess it enhanced the setting but personally I would always prefer something local. Funnily enough, this was also the only place we ate at where we were surrounded by non-locals or non-French diners - there were a few English and German speaking diners around us, something the staff seemed used to as their English was great. 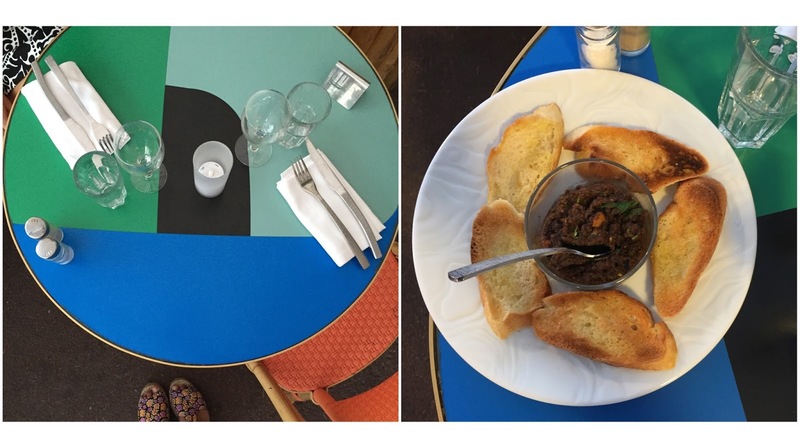 Recommended by blog-buddy Su-Lin of Tamarind & Thyme, we headed over to one of Marseille's many African culinary haunts. 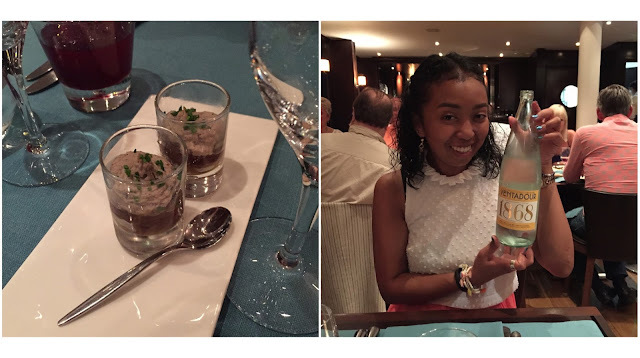 Tunisian cuisine was on the menu and La Kehana had been recommended as a good one, right at the top of the Grand Port. 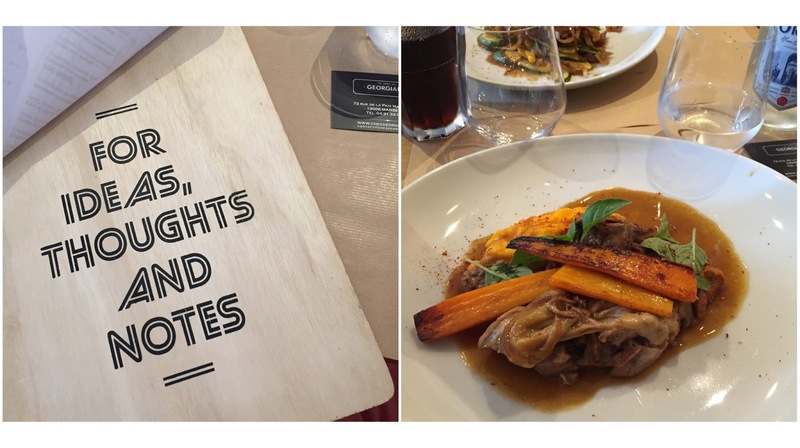 I am a big fan of classic French cuisine, but it was a lovely add to our trip to try something different. 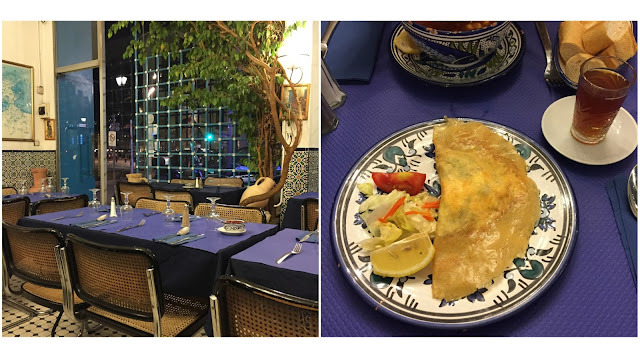 I'd not tried the famous Tunisian brik before - a deep fried thin pastry filled with tuna, onions, potato, harissa & parsley - and I was sold. After spying the generous portion sizes on the next table, we decided to share a main of cous cous and lamb [basically, a tagine] which was just yummy - the lamb was tender as you like and the spicing perfect. I drank mint tea throughout [keeping with the custom] and then ended the meal with a gorgeously sweet and sticky honey jalebi. Let's also just take a moment [if you haven't already] and enjoy all the epic tiling in this place. It was a visual party for the eyes for sure. It genuinely felt like you'd been transported somewhere else - felt almost as if you were no longer in France but a local restaurant in Tunisia. 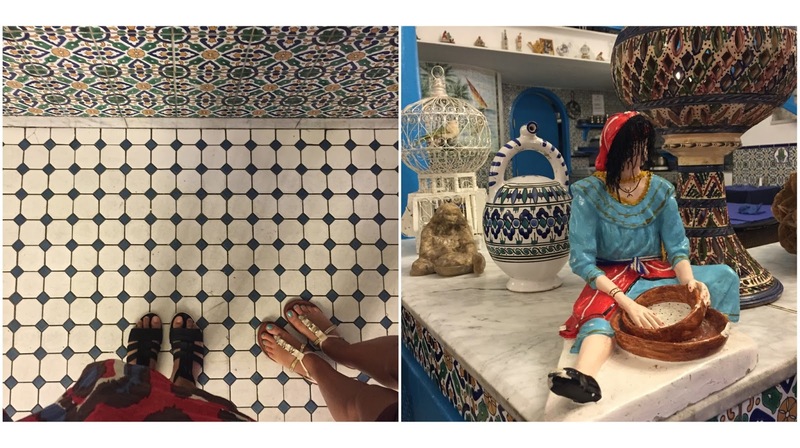 I fell for the tiles, the dessert wall and the beautiful crockery we dined on. Such a photogenic restaurant! There are many, many restaurants on the Grand Port - navigating through it [I would say] is quite over-whelming. 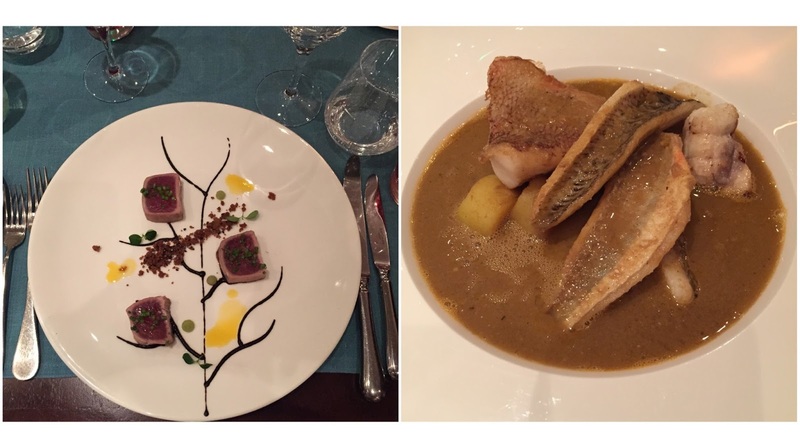 Lucky for us, Le Poulpe was highly recommended by a local blogista chutmonsecret [thank you!] and was the first place we tried in Marseille. Although the service was a little hasty and cold at the start, the waiters later warmed up and the food was great. As we were temporarily living the port-life, I opted for the catch of the day which in this case happened to be red mullet which was delicious. Lara went for a gnocchi and for dessert we shared the giantest peach I have seen yet. Le Poulpe was another spot where I liked the interior design almost as much as the food. 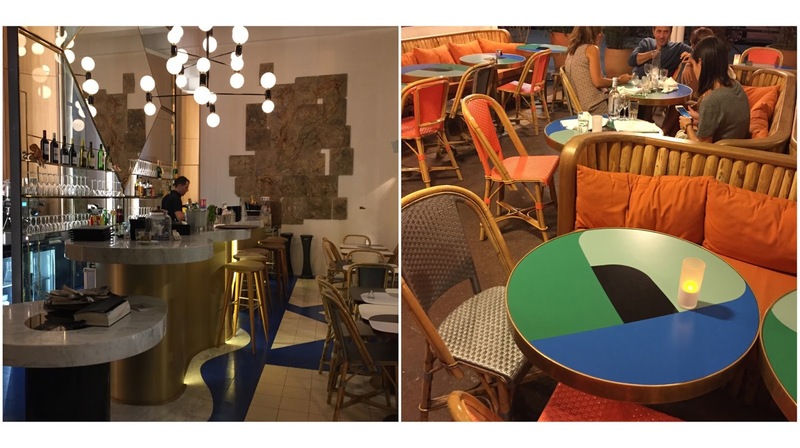 Really colourful terrace dining with bold colours and statement prints, whilst brassy and sophisticated on the inside. I have a lot of time for whoever designed this place because it's gorgeous. 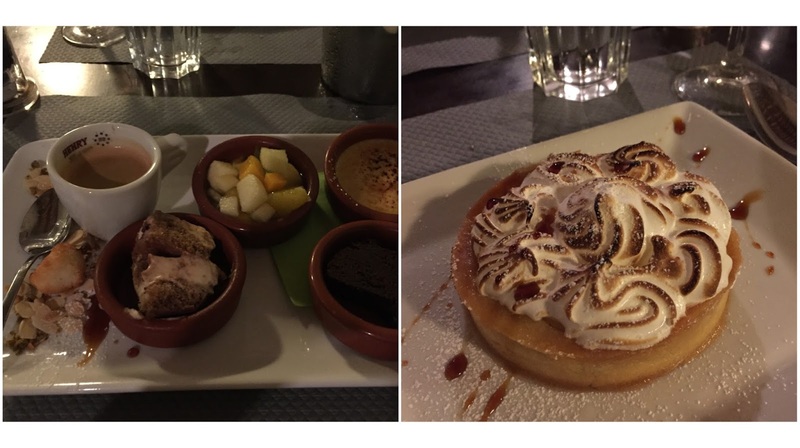 Whilst on the hunt for another recommended spot near Abbaye Saint-Victor, we stumbled on La Velada which throughout the evening seemed to attract some of France's most beautiful clientele! We sat on an outdoor table [thank you warm summer evenings] and ordered a half bottle [thank you genius French vineyards] of Lauzade rosé - a hugely popular wine choice in this region with a dash of ice [we saw most tables throughout the whole trip drinking the stuff at dinner over white or red]. For main, I went for a classic spaghetti alle vongole and Lara opted for a milanese. Then, I changed Lara's dessert-life by encouraging her to order the Café Gourmande which is an espresso with a mini selection of the kitchen's main desserts. I lost her to dessert for about 15 minutes so had some time to enjoy my lovely, classic lemon tart with meringue. 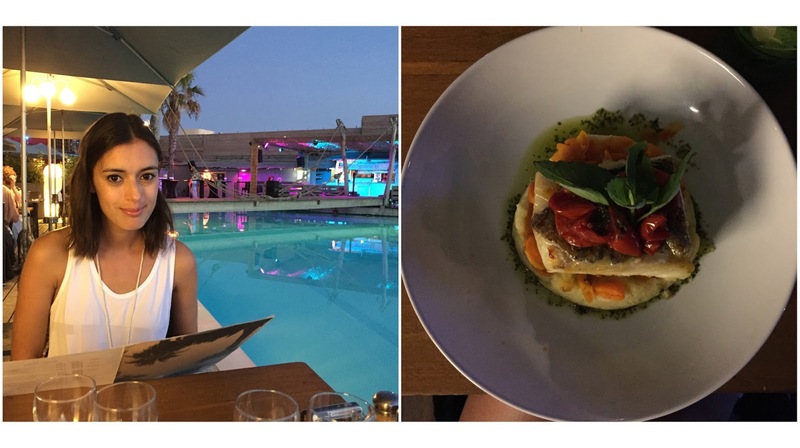 Recommended by our lovely taxi driver Fabien, Sport Beach was probably the most ooh-la-la of our dinner settings. 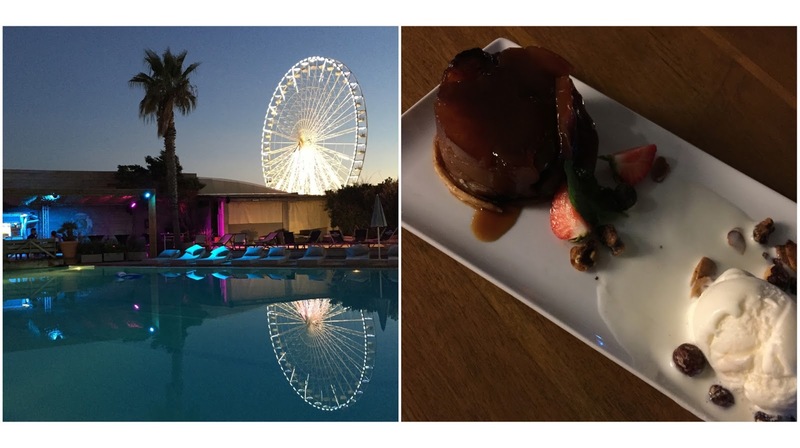 Lara was genuinely in shock at how we'd somehow ended up in an MIC-esque setting - dining by the side of a swimming pool with a lit up ferris wheel, palm trees and a perfect sunset in the backdrop. As beautiful as it was, this was probably my least favourite of everywhere we went. It had the most judge-y clientele we encountered [all relatively older than us and giving us the judge-eye] and the food was fine but average execution. The waitress / waiters didn't seem that bothered either so all in all the experience was great because of the setting but take the restaurant out of the setting and I probably wouldn't go again. After hours of walking around the beautiful MuCEM and having had no breakfast, dunk [bagel shack] was like an oasis for a quick refresh. Simple concept - bagels with style, fresh juices & vegetable chips sit-down or on-the-go. 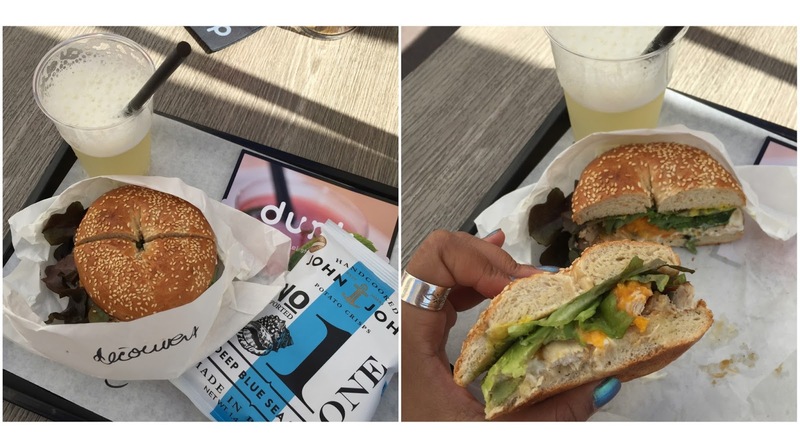 I went with the je couvre mon découvert bagel which had chicken, avocado, mango chunks, grilled peppers, coriander & cream cheese - it was yuuuuum. Lara went for the turkey version and I also had some of their freshly made lemon juice. Great price, friendly service from some lovely ladies and delicious bagels. Would highly recommend for when you're exploring Panier. Yum. I hope you enjoyed that food-party as much as I did, and also had a great weekend!